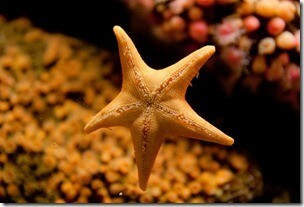 A starfish can replicate and spread a fluid set of ideas, beliefs, values, and norms. This is the hidden power behind things like Wikipedia, craigslist, Skype, and even the early days of Alcoholics Anonymous. Spider and starfish are metaphors for organizations. A traditional top-down or centralized organization is like a spider, while a decentralized organization is like a starfish. If you cut off a spider’s head it dies, but if you cut off a starfish’s leg, it grows back. These metaphors provide an interesting lens for looking at command and control, community organizations, organizational design, and business strategy. These metaphors also help explain why some top-down spider organizations have failed when the head of the spider was removed and why some grass-roots efforts have spread like wild-fire without a clear leader at the top. The key to creating explosive change, is creating effective starfish organizations. In the book, The Starfish and the Spider: The Unstoppable Power of Leaderless Organizations, Ori Brafman and Rod Beckstrom share the key principles behind starfish organizations and how you can identify and distinguish a spider from a starfish. The major organs are replicated throughout each and every arm. It’s easy to mistake a starfish for spiders. An open system doesn’t have central intelligence; the intelligence is spread throughout the system. Open systems can easily mutate. The decentralized organization sneaks up on you. As industries become decentralized, overall profits decrease. In my experience, I’ve seen several communities and groups spring up out of passion and common values. It was the absence of centralized power and the presence of connection, values, and shared goals that spread the their success. Because they weren’t managed top down like a business that has to make a profit, the autonomous teams thrived and drove from a fluid set of beliefs, values, and norms, and each unit had enough of the functional pieces to support the mission. The starfish organization really appeals to me. But is it true that as an organization decentralizes the profits go down? That seems like a downside if profit is your aim or am I missing something? @ Sandra — It’s interesting to see how the pattern of how things spread. No, profits don’t go down. However, a pattern tends to be that when a decentralized system starts generating significant revenue, it tries to centralize to protect profits. I really enjoyed this, very sentimental and symbolic for me. JD: I have never read the book, but I am intrigued by the approach and the distinction between a centralized and decentralized business. In terms of characteristics that positively contribute to the success of a starfish organization, it would seem that shared values and goals would definitely be at the top of the list. I have seen the chaos and challenges that result from a spider organization and I think what many of those companies lack are those shared values and goals you mentioned that were characteristic of a starfish organization. Very interesting thoughts. Thanks for sharing your insights and thoughts. So, when the starfish tries to get more like a spider, I assume some heads end up getting thumped. It might explain why v-teams so powerful over formal groups, eh? 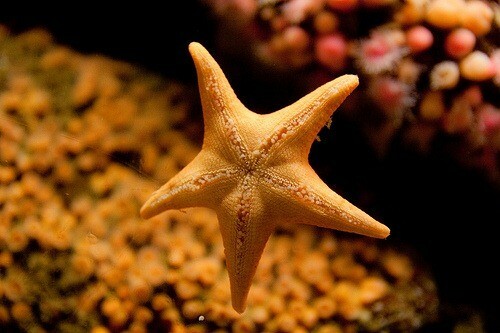 @ Jenn — It’s got me thinking about how to spread our ideas and values in a starfish way. It’s a force of one multiplied. @ Sibyl — Shared goals and values make a big difference. I think it’s the secret ingredient of the force multiplier. When there’s a lack of shared goals or values, then it’s a divisive environment. @ Jannie — 🙂 It’s actually one of the ways to defeat a starfish — introduce power and try to centralize control. @ Alik — Yes, I think it’s the drivers. If the v-team is driven by passion and purpose, it wins over a group driven by policy or procedure. Hi JD .. I hadn’t heard of the starfish or spider type organisations before .. but I can understand the starfish one .. as I’ve just posted (previous one) about transition towns/ initiatives .. and the transition initiatives have spread like wild-fire around the globe .. communities helping themselves ..
@ Hilary — I saw the parallel with your town post and I thought it was perfect. It seems like the towns people bond around the values, and grow from there.